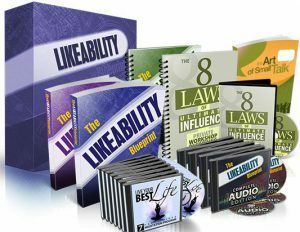 I am going to give you all the necessary information in this “Likeability Blueprint” program review that will be helpful to you if you are thinking about buying this product. Everyone wants to be the one who is liked by others, but despite of having all the good qualities most people fail to earn the appreciation of other people. Often people who lack kindness are also liked by many people, whereas those who are always trying to take care of others are not. See, there is something more profound than external qualities which decide how others will treat us and if you won’t fix that, nothing is going to change. I am not a big fan of persuasion skills because from what I have learned in my spiritual journey, I know that we cannot make other people to like us by pretending to be different, so I would have never bought this product if it was entirely based on that. However, I liked the program because it is more about working on one’s own inner world. There is a phrase that I often like to use “you cannot make someone love you, but you can become lovable”, and that’s what this program is all about. 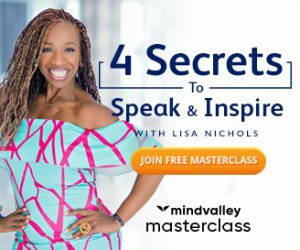 The maker of this program Mark Williams is a psychology of influence expert who is gaining a lot of popularity by teaching something that he calls “Likeability Blueprint“. Likeability blueprint is a collection of action steps you can take to become someone who holds the power to influence others. There are countless benefits of this because your friendship, career, relationships, etc. depends on how you connect with others. This program will teach you to gain the trust of others so that they could contribute to your success in some way. You need to have some credibility in the workplace if you want to get promotions; likewise you must be seen as a reliable person by your customers if you are running a business. Even if you are someone who is liked by others, there is always room for improvement, and the knowledge you will receive in this program will help you at every new level to which you will advance. Apart from the psychological changes, you will also get to learn a few tips in this program on how you should behave in order make an impact while interacting with others, which includes your body language and how you express yourself. One thing that stops people from connecting with others is shyness, and shyness is nothing but the fear of being judged/criticized, so Mark will teach you how to build new relationships. That’s an exaggerated term used for this program’s promotion, but this is what made me to buy this product because it is about changing one’s subconscious beliefs and as a personal development blogger I know this is possible. See, people’s behavior towards us depends a lot on our personality’s subtle attributes which is a result of the beliefs present in our subconscious mind. By reprogramming your subconscious mind you will naturally be able to influence others. Building a healthy self-image, which is the opinion we hold about ourselves deep within our hearts, can change the way we conduct ourselves around other people. Once that happens, you will be surprised to see how people start behaving differently with you than before. The main material of this package is an eBook that is a complete course on likeability, this book has the knowledge, methods and exercises using which you can change your subconscious programming so that you could develop the right behavioral patterns that will naturally make people to like you. Audio Book – In case you find it hard to learn from the book, then this audio book will be of great use to you since it contain all the information present in the eBook. Live Your Best Life – These are 7 part guided meditation audio tracks that will help you to build a positive mindset, the audios are meant for each weekday. The Ultimate Influence Private Workshop – Here you will get to know the 9 laws of influences and some psychological shortcuts for thinking positively. Art of Small Talk – A very interesting bonus that will teach you how to make a good impact in small talks. Note – These bonus items can vary with time, if you want to know what they are offering at present then you will have to visit their product website. This course does contain some techniques using which you can influence others, but I will advise you to focus on altering your subconscious beliefs instead. Even though what you will learn in this course will definitely help you to improve your relationships, but you should not waste your time trying to please someone specific. 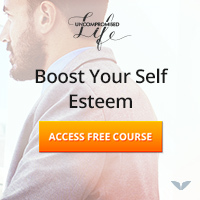 If you want to change how someone thinks about you, then please don’t buy this course because nothing in the world can change how a person feels about you except that particular individual. However, if you are willing to become a person who is generally liked by people or if you want to build new, better relationships, then I would strongly advise you to go for it. I hope you enjoyed this post. The limiting subconscious beliefs I have talked about in this post can also be eliminated using energy block clearing techniques.